Tags: Borgata Casino, Cheng Yin Sun, Edge Sorting, Phil Ivey. The 10-time WSOP bracelet winner Phil Ivey still owes the casino $10.16 million after winning a 2016 lawsuit for baccarat winnings he won back in 2012 along with his accomplice Cheng Yin Sun. The tandem utilized a technique called ‘edge sorting' in which they spotted slight defects on the backs of the cards to gain a significant advantage. Both of them won around $9.6 million from the baccarat tables and then Ivey proceeded to play at the craps table and won another $500,000. This was how Judge Noel Hillman figured the $10.16 million amount Ivey was supposed to owe Borgata. Bad luck for Borgata as Ivey did not have enough assets worth seizing in New Jersey. After the court ruled in its favor, the casino was only able to find a Wells Fargo bank account under Ivey's name in the Garden State. It turns out the account was empty and Borgata's legal team declared that the two, Ivey and Sun, had moved their winnings to a Mexican bank account. In October 2018, the casino filed a motion to cast a wider net to search Ivey's assets. The motion claimed they had found the poker pro's money in Nevada and that it's the perfect time to try and go after it to compel him to pay. Borgata's legal team wrote, "Although the extent of Defendant Ivey's business holdings is unclear, it is believed that Ivey Poker, LLC is the entity behind Ivey League, Ivey's poker oriented website. Ivey's holdings have been estimated at $100 million, and the above shows these holdings, at least those that are ascertainable, are based in Nevada. Ivey has also disclosed a luxury home in Cabo San Lucas, Mexico on his social media account. It is possible that one of Ivey's Nevada entities is the ultimate owner of this home." On January 29, 2019, an order was filed to docket the judgment in Nevada, which Judge Hillman signed the following day. Phil Ivey's attorneys did not dispute the decision. Below is a copy of the document. 35 comments for "Borgata gets Green Light to chase after Phil Ivey''s Assets in Nevada"
The casino is not giving up. And why they should in the first place. he had moved the money i a mexican bank. The casino seems determined to get their money back, no matter the cost. And they will probably make it after all. this is such a long story,that we cant remember how many news we had about this case!but every time we talked that he will need pay this money and that casino is right almost every time!especially after first news that how court will decide that he need to pay!they have great lobby and you cant do anything! Almost the same thing i said. I think Phil Ivey did not cheat but i do not know what kind of rules are in casinos. Obviously the rules are more on the casino side. It's funny how Phil Ivey is trying to hide the money in another bank which is from outside of Usa. One thing is certain: he has to pay that money, but it is possible like Ivey to refuse this payment even if he lost the process. even they moved their money on some mexican bank,casino will find way to get money back,no matter what amount it is!even he dont have any dollar at some bank in america,they will wait that he earn some amount in las vegas,on some tournament,no matter where and they will take every time whole amount that he win till they come to this 10 millions! just messing with the dealer to drop his attention on the game. Isnt that what they call a scam ??? Or at least one of its definitions if you like? This case will NOT be resolved anytime soon. Ivey likely to declare bankruptcy to forestall any judgements. if he declare bankruptcy and he dont pay this amount,he cant play any poker tournament in america,he cant play WSOP anymore and you think that he will miss that chance!every amount that he win or whatever,they will take right away and he will not have anything from it! Then Phil Ivey need to move in Asia, maybe there he will have the chance to play without being confiscated the money. If he declares bankruptcy, here is a chance that he will never pay this money to Borgata. Some firms that declare bankruptcy never pay their debts and patrons are allowed to open other firms without any problem. Phil Ivey maybe he thinks he'll be forgiven and never pay his debt. They never going to be able to get this. All of his moveable assets are either offshore or out of their jurisdiction right now. Ivey is not gonna be able to make business moves in the US ever again without the IRS breathing down his neck if he won't pay and declares bankruptcy. regarding his fortune in general. No to mention that, he will probably getting blocked in some casinos. Why he should be welcomed after all, after what he has done. I am not sure why this PR nightmare was worth fighting through for him. Those millions he hides now will cost him much more down the line with a tarnished reputation. When you notice a defect in playing cards, you can not ask for a player's money, who won in several months. This casino could not know if Phil Ivey knows someone from the cards firm. They saw this defect and thought to ask for the player's money. This is not normal and if i was the judge of this case i declaring Phil Ivey winner of this process. yes,if he dont pay it,his life is finished in USA,I mean in way for making money,making transactions with bank and so on!he knewt from start that he cant beat system and law,not he is on end or road!I understand its big money for him to back,but better to give back them this and to have normal life,then this! I think the casino manager jumps up with joy when he catches a cheater and he know that the player will have to return that money for the casino owner. Probably has a reward when he catches a cheater. Yes very good point that phil ivey career in usa in poker is over because if not find money here in his companies any moneys he win be confiscated so not good business to play in usa. Maybe it is not important to ivey. well thats problem,his career in america is finished if he dont back this money,but ofcourse he have enough money to go anywhere in the world to buy house and to live and play poker or whatever he want till rest of life!but if he want to do something in america,then he can forget! I have the impression like Phil Ivey he does not want to pay this money because it is painful for him to lose so many millions of dollars. Is very difficult for most professional players if they were in his place. His misfortune was that Borgata won the process. He does not want to accept the decision and he hopes for a miracle, to stay with the money. and then wins big. Will he be able to take the money, or they will confiscate his winnings? Not that it will be a big problem for him though. With so many tournaments running all over the planet, it will just be one event minus. That if he wont be able to participate. I do not know if the bankruptcy solution is good. It's possible that she should go only if Phil Ivey is a corporation or a firm. Unfortunately for him he is not and if he does not pay the money for Borgata then he will migrate in Asia to Macao. He will have strong people to play with him. he can forget on playing at WSOP and to try to win something!everything can just be taken from him,in america everything is connected and ofcourse they will take right away this money till they make to this 10 millions!he will have much more problems in future if he dont pay it! I have the impression like Phil Ivey he does not want to pay this money because it is painful for him to lose so many millions of dollars. Is very difficult for most professional players if they were in his place. Well, imagine how painful was to the casino makin' out that eight figures check to him that night in the first place - which is probably the reason they've looked into his play agter that. Everywhere is painful for casinos when losing large amounts of money. Often they become nervous and researching very good on the video cameras. When they discover something, i think they clashing champagne glasses of happiness. I wonder what Ivey will do in this case. its strange that they didnt check his play before they payed him or to watch on cameras how he play at that moment!he is famous player,but they could still check him right away,not after they pay him this huge amount!but anyway,he lost this and casino want money back! It is not a single game that they played. You either watch a game and refuse to pay at once, or you pay the players. if everything was according to our rules, and then will pay you? 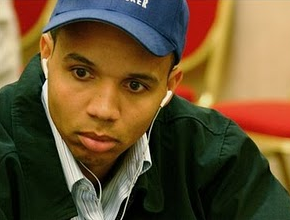 Unfortunately for Phil Ivey his life in casinos begins to be worse. It will not take long and he will begin to be restricted in casinos in my opinion. I think these casinos there will be allies against him and he will only play in other countries who will accept this. The life of Phil Ivey in casinos will be better if he will pay the debt. they have that kind of laws in america,that even if they pay you,they can still take your money from you if they want and if they find some mistake in your play!but ofcourse its strange that they didnt find out before they payed him this 10 millions! And again, because the payouts are instant. In order to see what is going on there you have to study the whole play. You cant understand live what is going on. If that was the case they wouldnt be doing it, in the first place. What is the point on that, getting caught in the act.